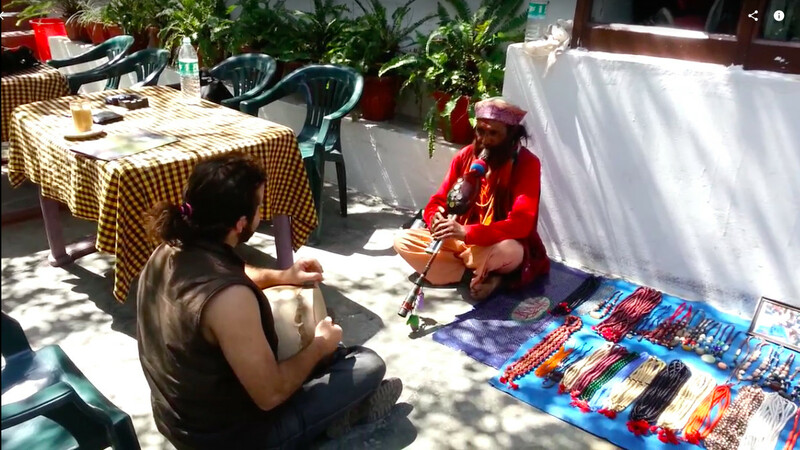 I came to Rishikesh in 2013 because I was curious about Spirituality. 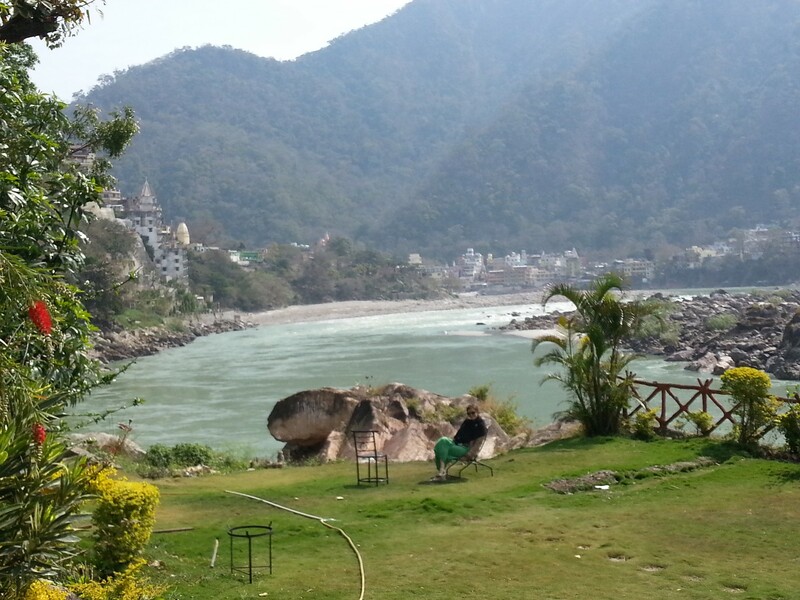 With its colorful and cheerful atmosphere, which contains a mix of humans, animals and Hindu gods, Rishikesh is one of the most remarkable towns in India. 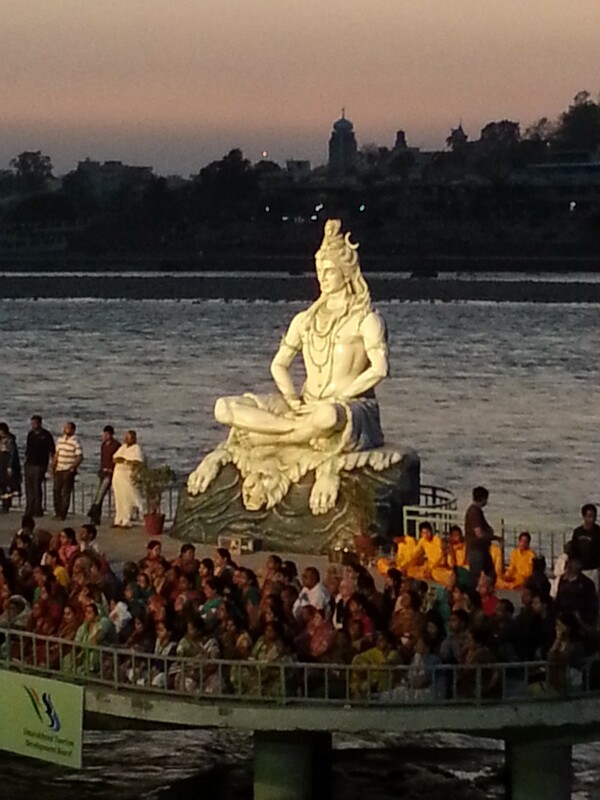 It has a great geographical location, with a view of the gorgeous Himalayas, and is situated on the holy river Ganges. 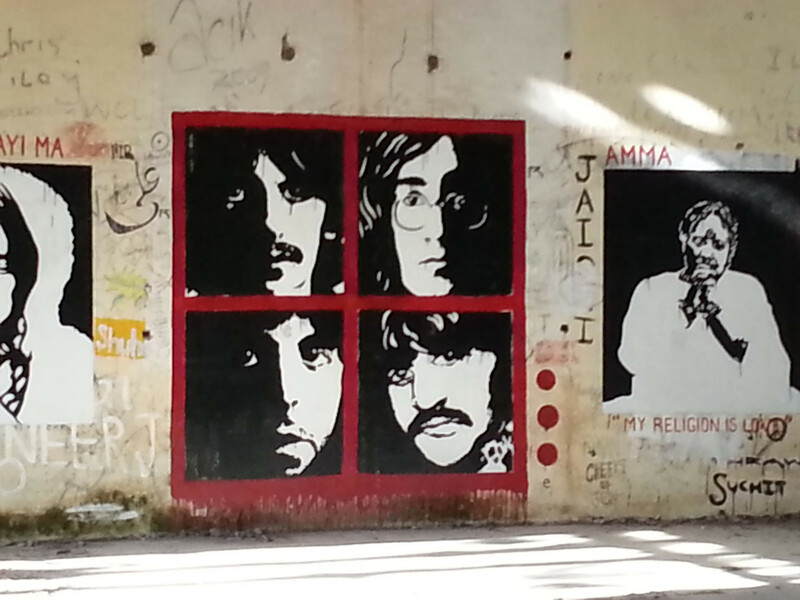 local and international pilgrims; the “Beatles ashram”, where the popular music band The Beatles stayed for creativity and inspiration; and much more! *Note: An ashram is a place for various spiritual practices, similar to a monastery in the Western world. 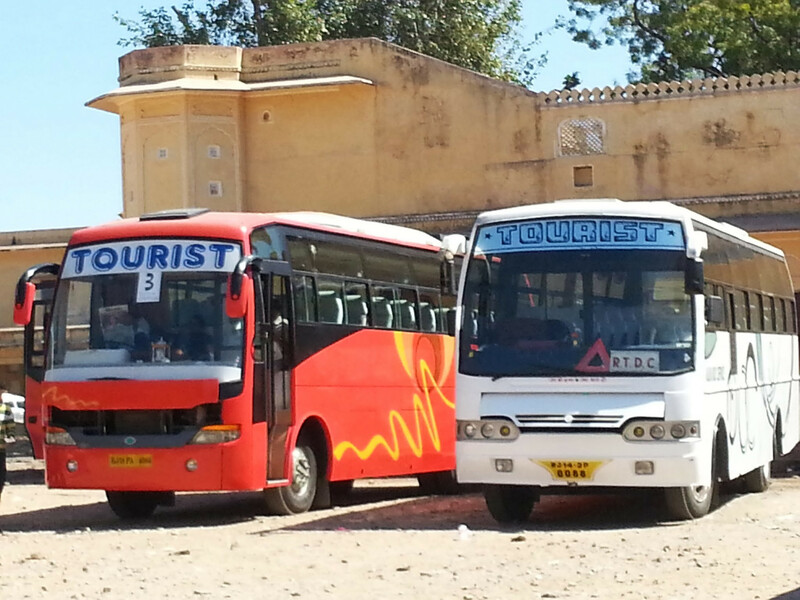 The cheapest and easiest way to get to Rishikesh from New Delhi is definitely by bus. 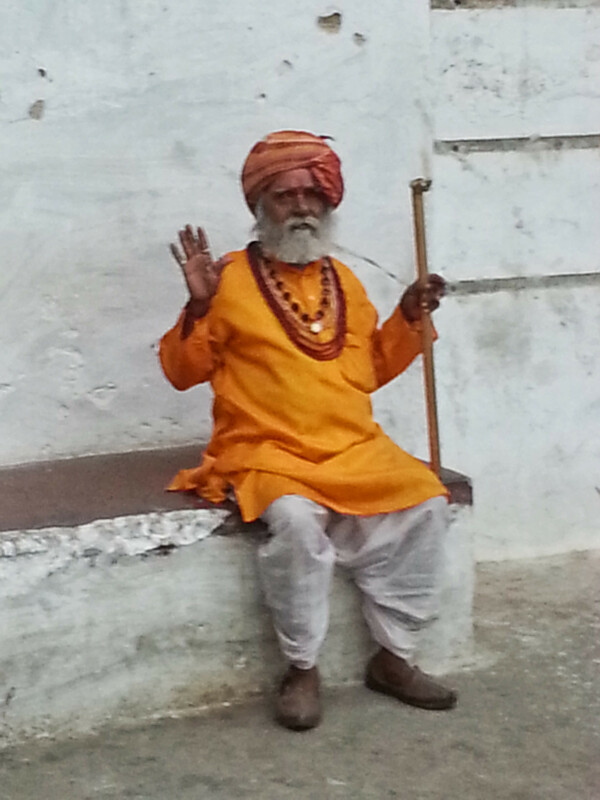 The trip will last about six hours, and it is quite entertaining, especially if you enjoy seeing the authentic Indian style of life, as you will travel through countless villages. You can book a bus ticket online, or buy it from a travel agency or directly from a bus driver. I have found the website Make My Trip (www.makemytrip.com) to be very useful for travel in India. It’s easy and fun to use, with one exception – you must purchase a local SIM card or, in other words, have an Indian mobile phone number. 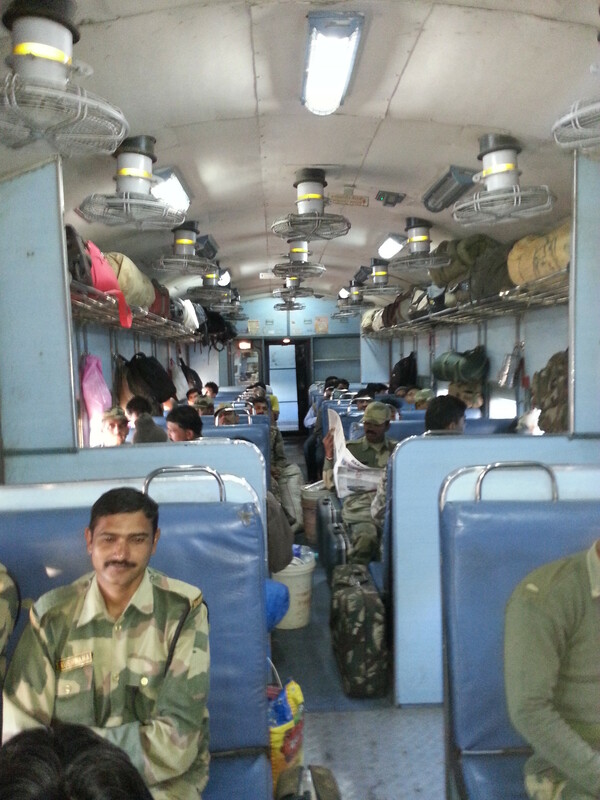 A train is another way to travel to Rishikesh, and may have a sleeping option. However, a train ticket is much more difficult to get than a bus ticket. The best way to carry your belongings in India is a rucksack. There are several reasons for this: the roads are not very good for luggage with wheels and the country has no working elevators. Either buildings don’t have elevators at all (e.g., railway and metro stations), or the elevators are broken (e.g., Indira Gandhi International Airport). You can protect your rucksack from dust and dirt, which is almost everywhere, by using a special cover and washing it when needed. 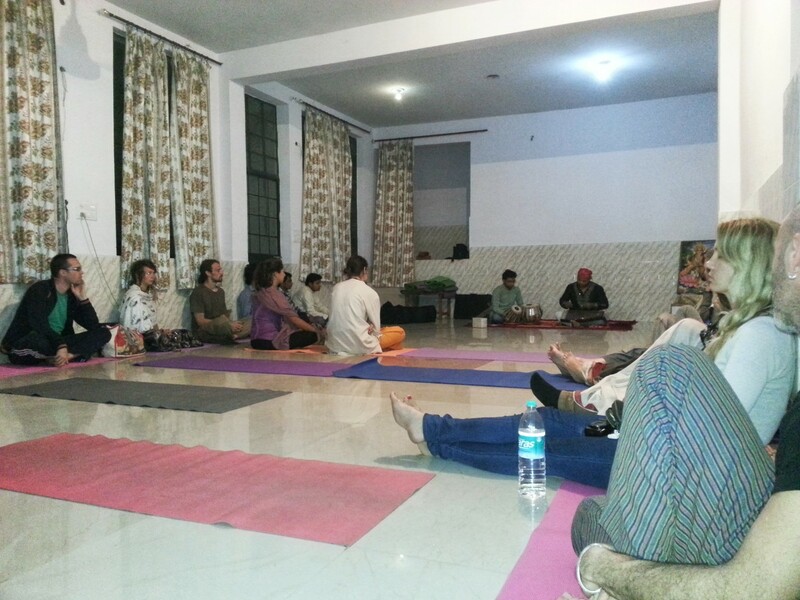 In Rishikesh, you will find different models for studying meditation and yoga. You can find private teachers through your hotel or a tourist agency. At first, I went for private lessons and got two teachers: one for yoga**, i.e., physical or asana exercises, and another for meditation. Note**: In India, “yoga” means “connection with Divine (God)”. However, in the Western world, yoga is mostly known as a physical exercise, stretching, etc. My middle-aged meditation teacher conducted lessons in a very spontaneous way – there was no plan, structure or clear goals to achieve. The “spiritual guru” ended up offering business proposals to me, such as buying a sleeping place in the tent and a bottle of brandy. The yoga teacher was a young guy, quite responsible. 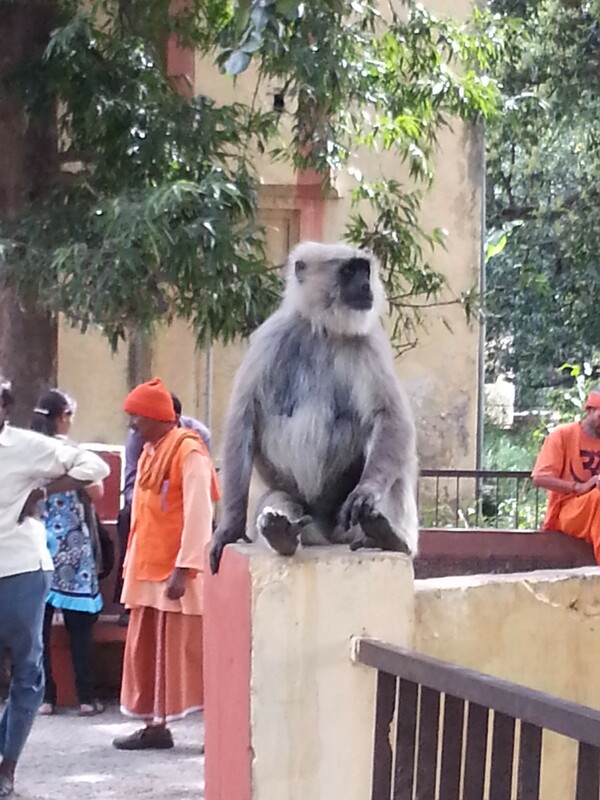 He corrected the asana postures if I did them wrong. The yoga classes were more systematic and less commercialized. 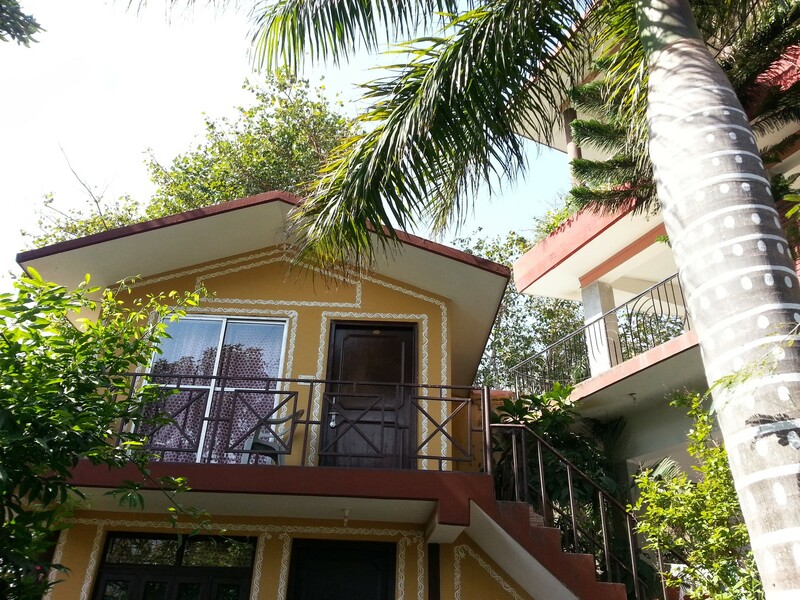 All financial issues were handled via my guesthouse. The teacher didn’t want to deal with money even for an additional half of hour of lessons. During these classes, I learned a few new asana. One of them, called butterfly pose, is useful for stretching the inner thighs, the groin and the knees, which helps the practitioner meditate longer. However, I wasn’t very happy with the results and decided to go further. Word of mouth is very popular in India, and you can drop into any tourist agency to describe your needs. 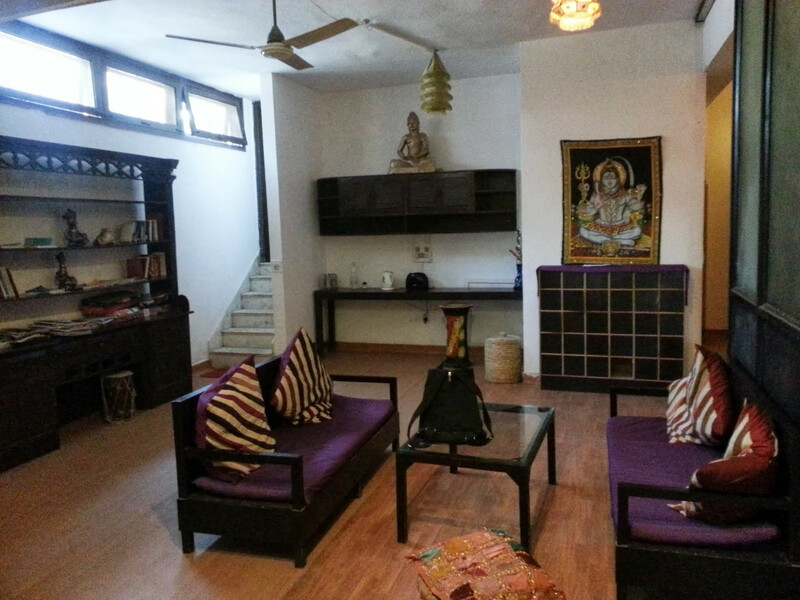 The agencies can lead you to ashrams that provide spiritual “packages” for foreigners. 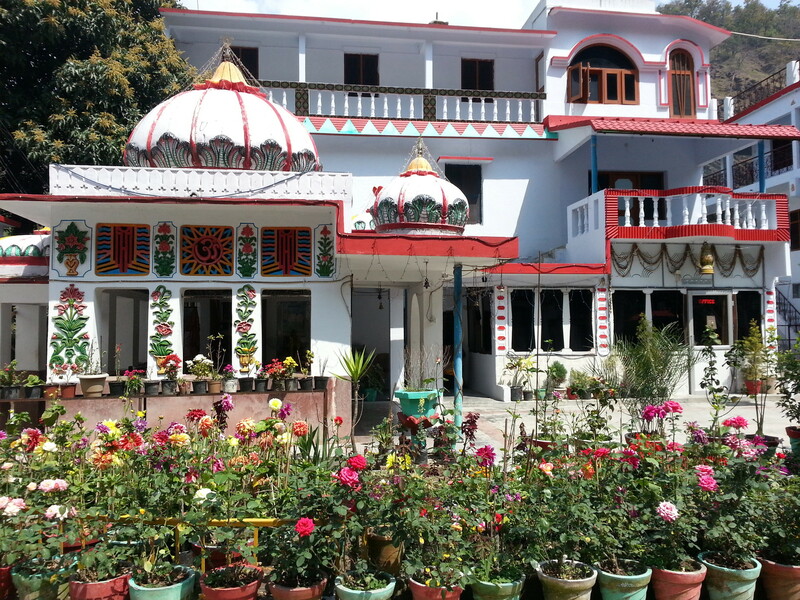 One of those tourist agencies lead me to Phool Chatti Ashram. 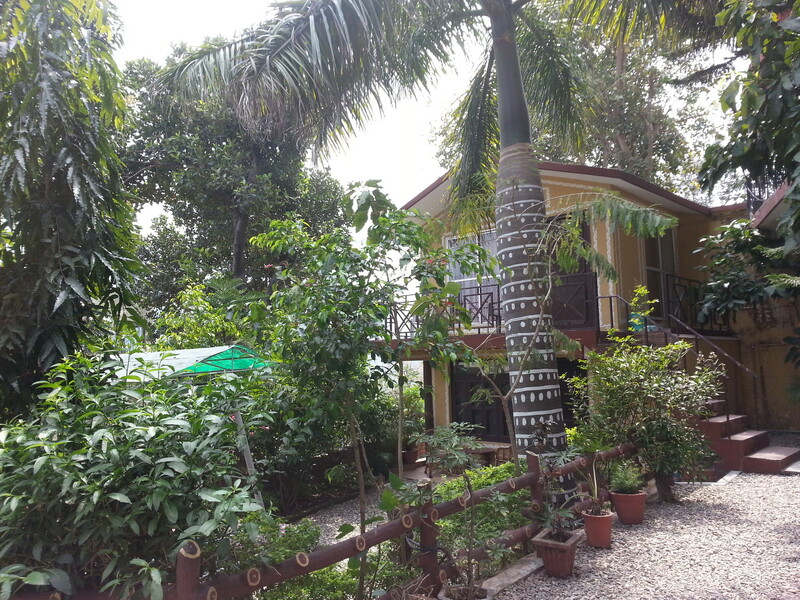 Read about my six-day experience in the Phool Chatti Ashram. 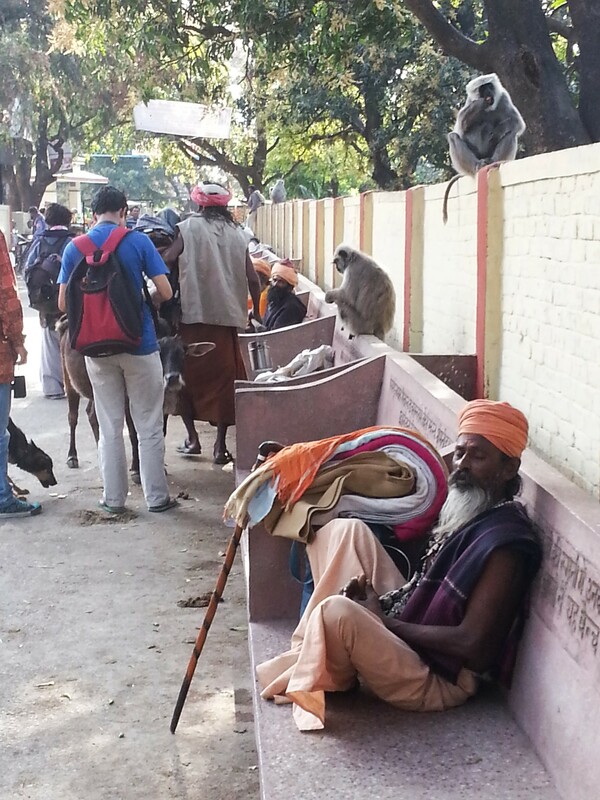 Most Indian ashrams have become commercialized and welcome anyone who can pay for an accommodation*. 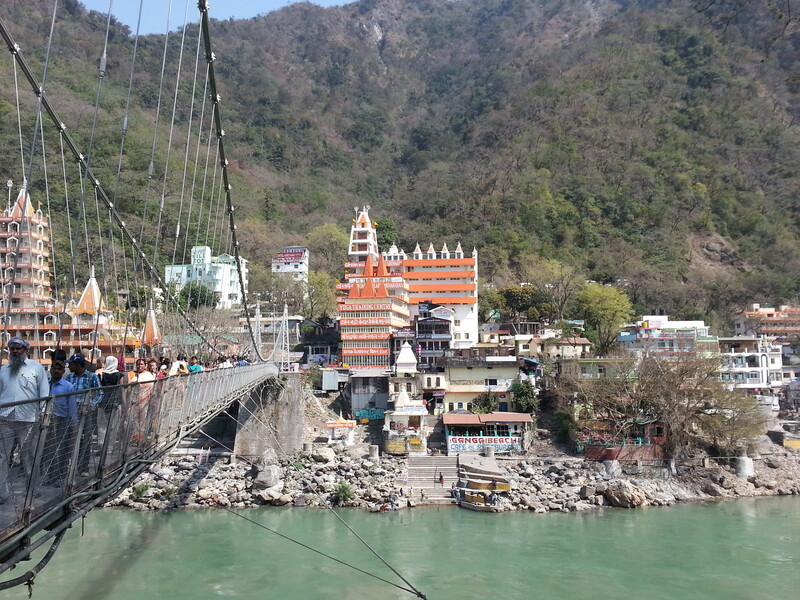 On 26 March, I left the hotel in Laxman Jhula relatively early and went to Rishikesh to Ashram Parmarth Niketan. They didn’t want me, but I insisted, saying that I would stay just one night and that it had been promised to me (and that was the truth). I paid 500 Rupees (about 7 EUR) for a night and got a key. It was a simple two-bed room with a kitchen-like area and a relatively clean bathroom. The walls were made of stone or clay and were much colder there than outside. The price for the room was in line with the price for a bed in the local hostel, though an ashram gives you a private room and a bathroom. 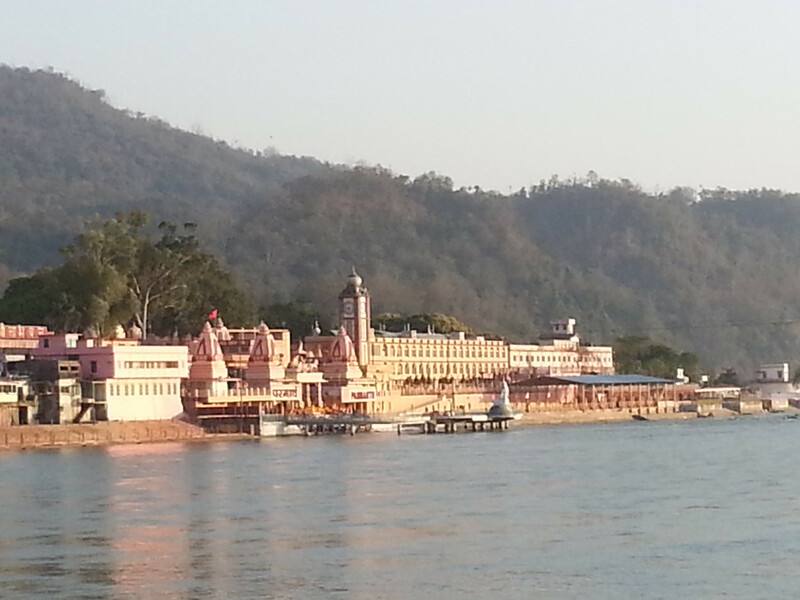 Another practical advantage of staying in the ashram was the food, which was served three times a day. As in Phool Chatti Ashram, the spiritual practices in the ashram, such as meditation, yoga, chanting, etc., started after 5 a.m. You can participate in them, but nobody cares if you go or not. In addition, nobody will correct the assana you are doing. In other words, you are left to yourself. The only meal I tried in the ashram was lunch, which was vegetarian and not as tasty as in the Phool Chatti Ashram, but that was OK. I thought the canteen would be packed because the ashram was pretty big, but surprisingly there were just a few people in it. 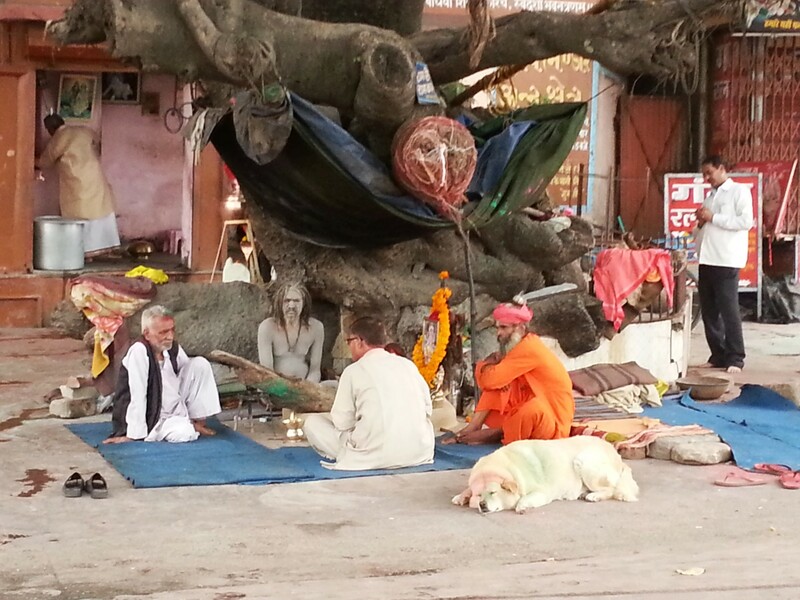 I went for a walk, hoping to get an appointment with an ayurvedic doctor for a diagnostic, but I didn’t find him. 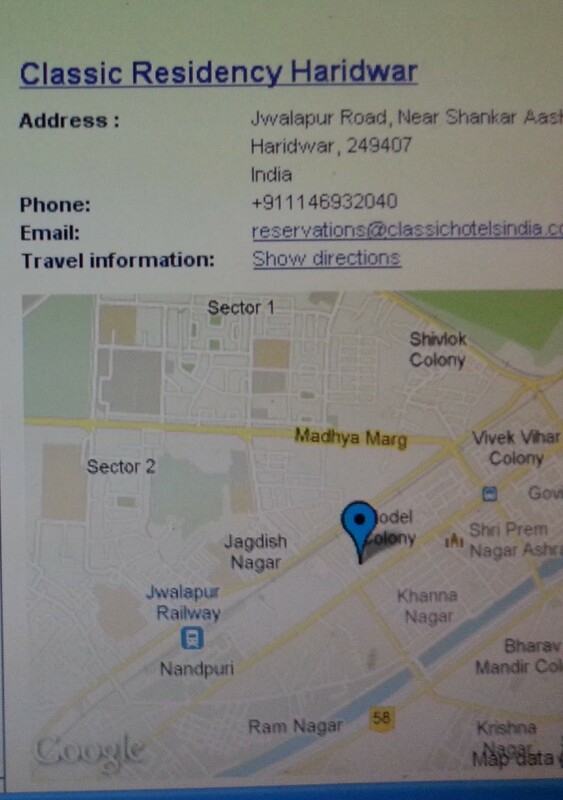 I was also looking for an “Internet place” so that I could book a hotel in the ancient city of Haridwar, which was my next destination. I found the Internet and booked a reasonably priced room via booking.com. 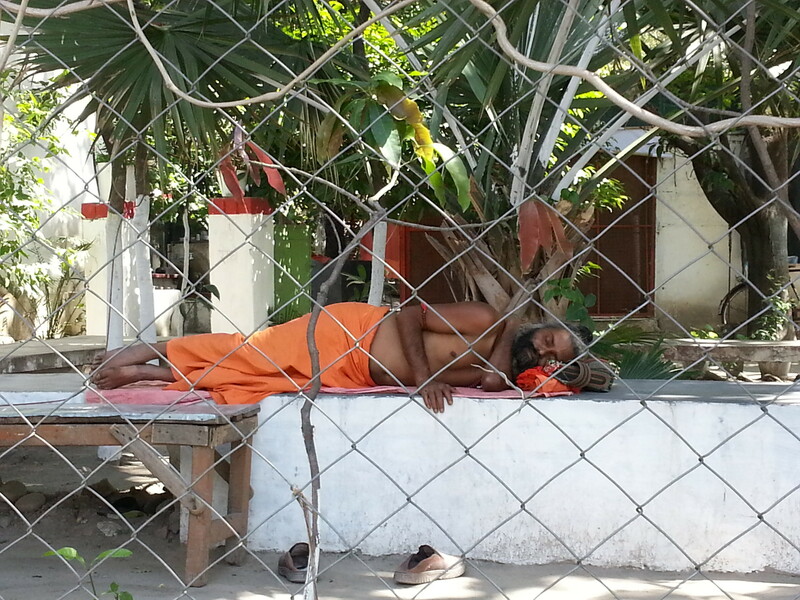 Note*: At certain times of the year, ashrams are heavily occupied and one must book and pay for a room in advance. 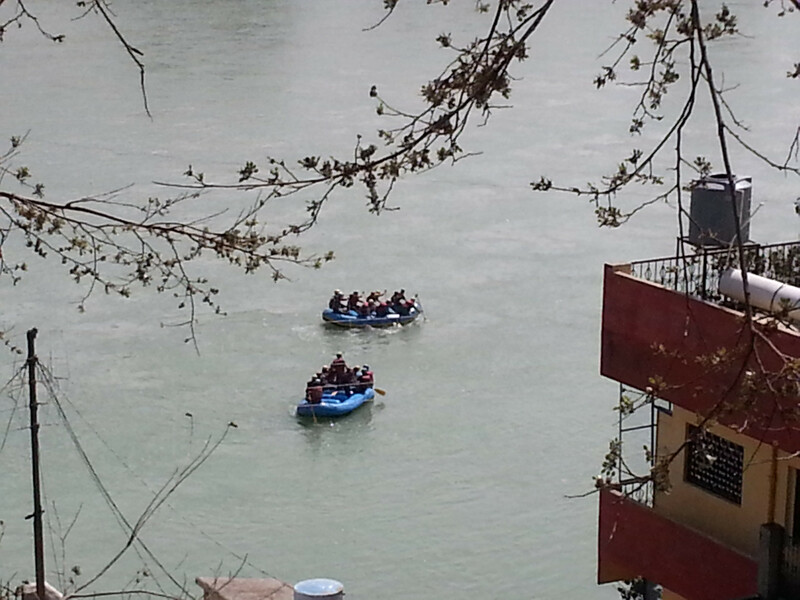 One thing you shouldn't miss in Rishikesh is rafting in the Ganges River. Its risky, its scary, but I had to do it! 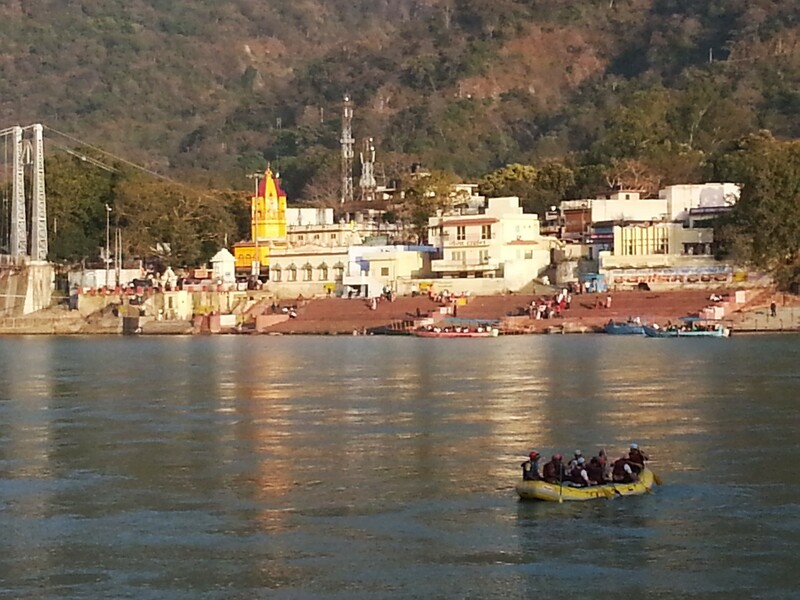 There are several tourist agencies on the Ganges riverside that offer adventure with a professional trainer and dedicated equipment for a reasonable price. Please note that you don’t have to accept the first offered price – you can always bargain in India(!). 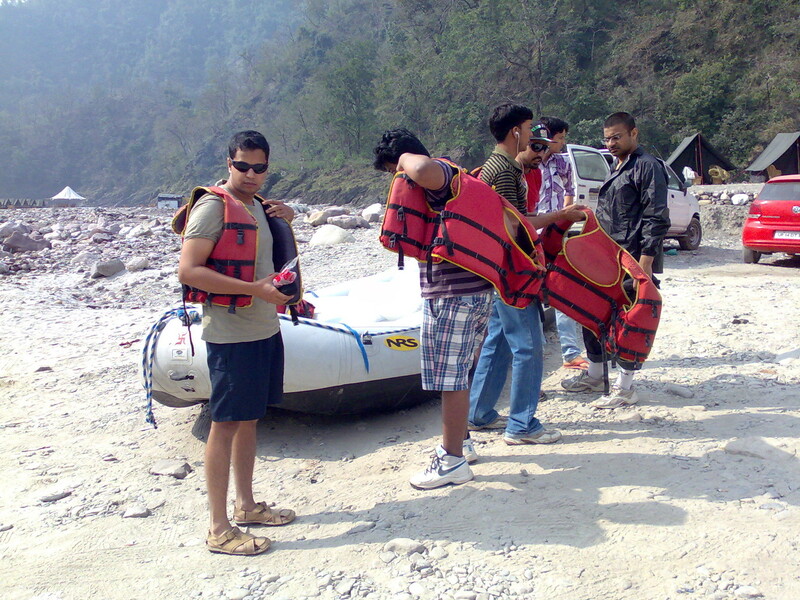 I hadn’t rafted in my life and it was a thrilling experience. To my surprise, the adventure was very well-organised. We had a proper, large-sized, round rubber boat, paddles, helmets, life jackets and a good-looking trainer. There were only two Westerners in the boat; the others (six people or so) were Indians and the boat was fully packed. Our coach gave us instructions about what we would have to do at his command. All instructions were in English. We started with easy rapids – at least our trainer called them "easy" – and continued with harder ones. The last one was really challenging and at certain moments even scary, but we did it (!). Be aware that you will be completely wet afterwards, so it’s a good idea to bring a change of clothes with you. You can leave them in the tourist agency (at least, they allowed that in 2013). Enjoy! It’s a REAL thing! visit its restaurant, which has a Nepalese chef. The meals there were ALWAYS delicious and the breathtaking vegetarian Tosca spaghetti with eggplant is a MUST. Alternatively, you can cook the dish by yourself; it’s worth it! 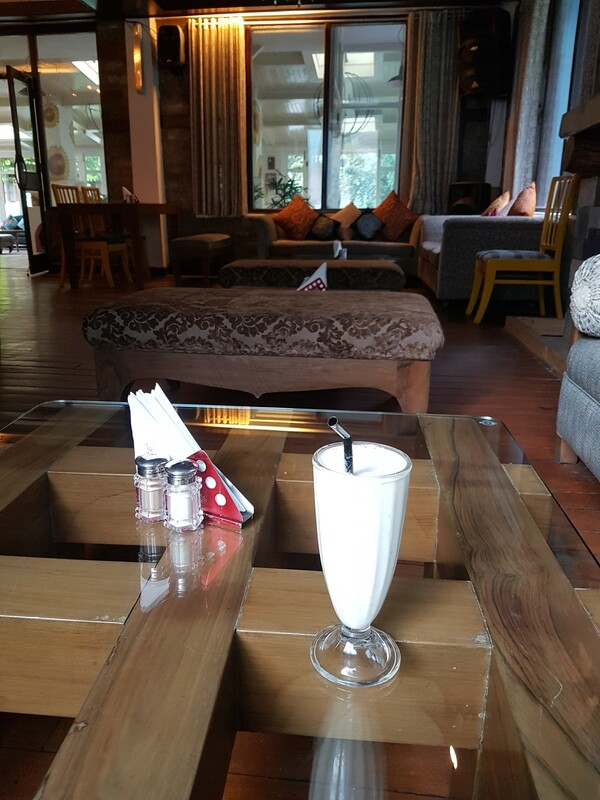 One wonderful and healthy drink I found in India was the lassi. The lassi recipe is based on yogurt and it can have different flavours depending on the fruit added to it. My favorite lassi was made from papaya. Mango lassi is very good too, and maybe even better than papaya lassi, but unfortunately, the season for mangoes is short in India. Somehow, Indians are not able to save the fruit for a longer period of time. The third choice for lassi is banana. The lassi is served cold and you’ll want to drink it with a straw. 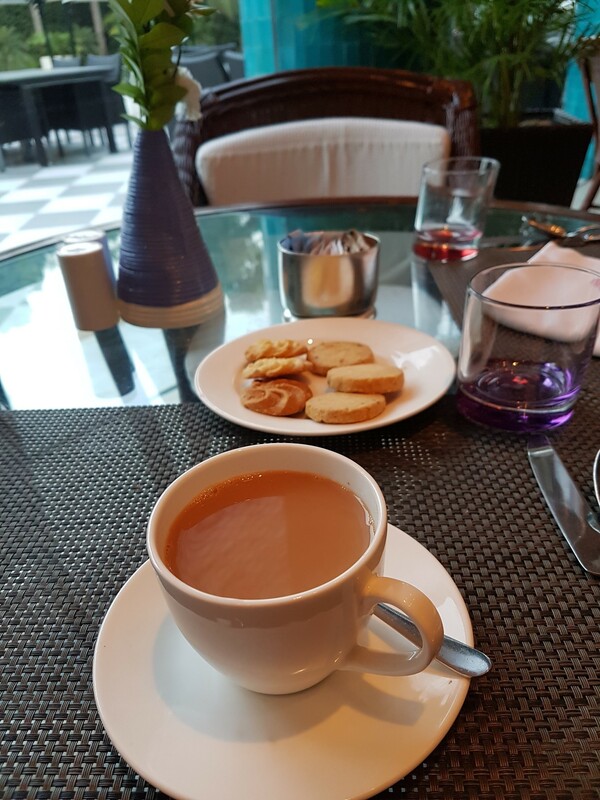 In the morning the best choice is a “must try" masala tea (black tea with milk and spices made in the Indian way). For an evening drink, the great alternative is an amazing ginger lemon tea. Indians use fresh ginger, smashing, pressing and crushing it in a stone bowl. Then they add freshly boiled water and lime or lemon juice (including a slice of the fruit). You can drink the tea like that or add honey. Either way, the tea has a very good taste and gives you a great benefit – increased immunity!